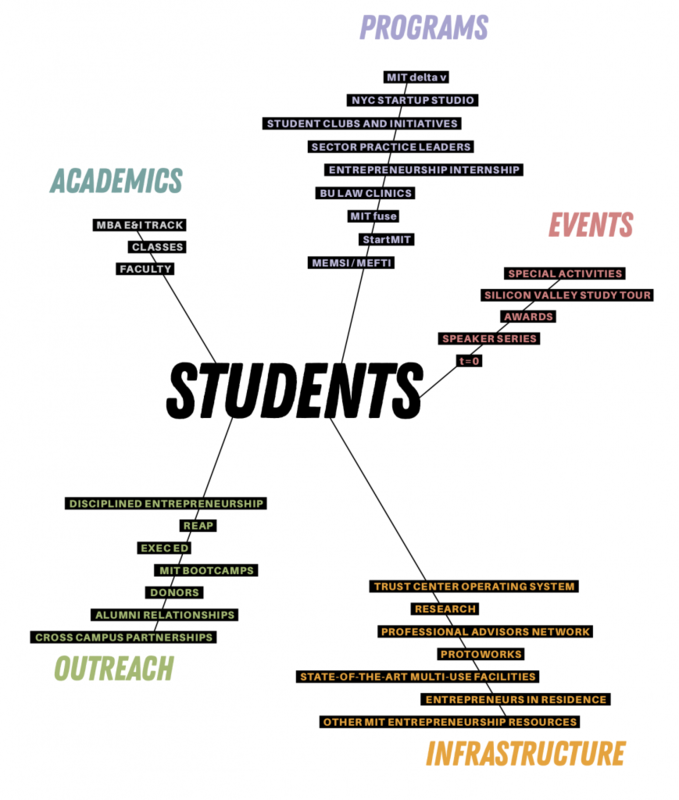 The Trust Center serves all MIT students, across all schools and all disciplines. At the Martin Trust Center for MIT Entrepreneurship, our mission is to advance knowledge and educate students in innovation-driven entrepreneurship in a manner that will best serve the nation and the world in the 21st century. The focus of our education is MIT students to whom we provide proven frameworks, courses, co-curricular programs, state-of-the-art facilities, advisory services, and processes to create a rigorous, practical, customized, and integrated educational experience. We accept and welcome our leadership role to advance the field at MIT as well as globally. We provide the highest-quality education, advising, and practical experiences. We work closely with other MIT departments, labs, centers, and groups to connect students with the best entrepreneurship programming across the Institute, and beyond when appropriate. Entrepreneurship requires diversity of opinion and diversity of people. Throughout our courses, advising, and programming, we combine a range of critical perspectives. Each year we try new programs and activities. If we fail, we learn. We don’t expect everything to work the first time; if it all does, we are not innovating enough. First, neither the center nor its faculty or staff are allowed to take a financial interest in any of the new companies that we nurture and assist. Second, we strive to always provide our students with multiple options and educate them on the process to make an informed decision. The choice always rests with the student, and the center will work to create a level playing field for the options. Our only goal is the student’s entrepreneurship education and long-term entrepreneurial success. True to the motto of MIT, in all of our courses and throughout our activities, we operate on a hybrid model that fuses academic and practitioner perspectives and contribution. Click the image to read an interactive version including links to webpages and videos. This report by MIT underscores the substantial economic impact of the Institute’s alumni entrepreneurs, whose companies have created millions of jobs and generate annual revenues of nearly $2 trillion — a figure greater than the gross domestic product (GDP) of the world’s 10th-largest economy. 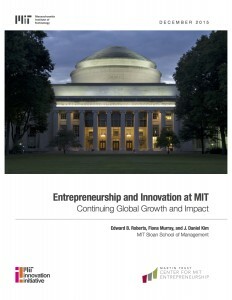 In 2009, Edward Roberts, the David Sarnoff Professor of Management at the MIT Sloan School of Management, co-authored a report estimating that, as of 2006, MIT alumni had founded 25,800 active companies worldwide, employing 3.3 million people and generating nearly $2 trillion in annual revenues. This updated report provides fresh figures: As of 2014, the report estimates, MIT alumni have launched 30,200 active companies, employing roughly 4.6 million people, and generating roughly $1.9 trillion in annual revenues. That revenue total falls between the world’s ninth-largest GDP, Russia ($2.097 trillion), and the 10th-largest, India ($1.877 trillion), according to 2013 data on those and other countries from the International Monetary Fund.